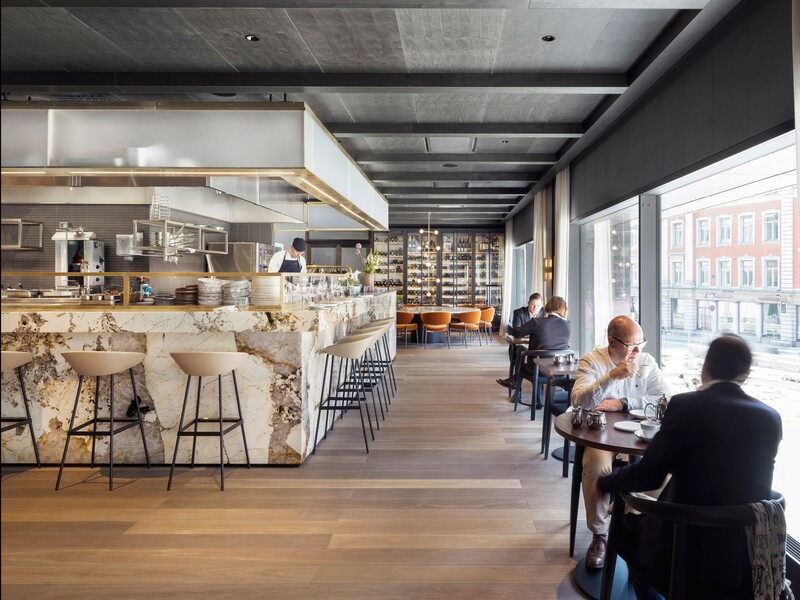 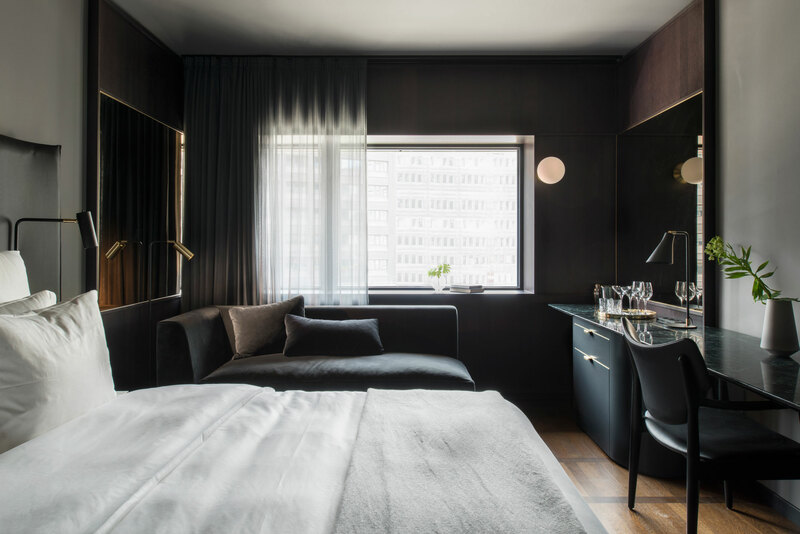 Universal Design Studio has completed At Six, a 343 room hotel in Stockholm’s Brunkebergstorg Square housing one of Europe’s most ambitious contemporary art collections within a hotel. 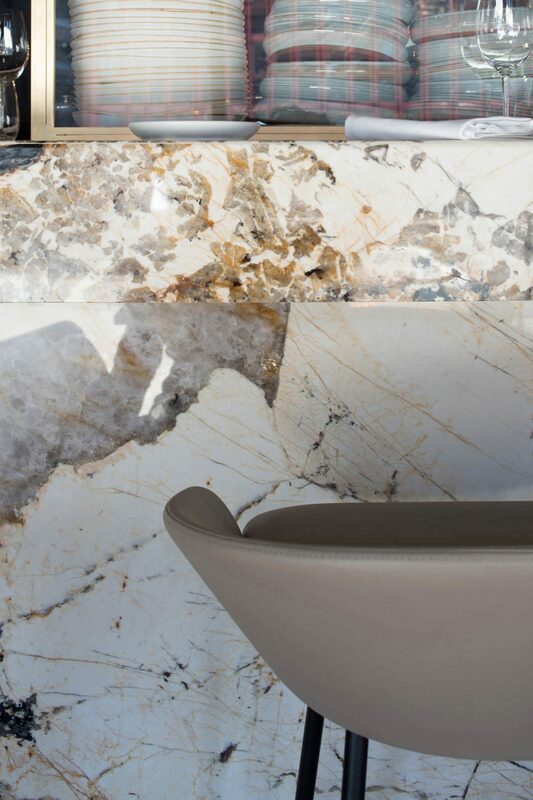 Working on the immediate architectural landscape of the square through to the extensive interior renovation and new façade the scheme includes ten floors of guest rooms, a penthouse suite, a 100 cover restaurant, a wine bar, cocktail bar and a 2000 sqm events and flexible work space. 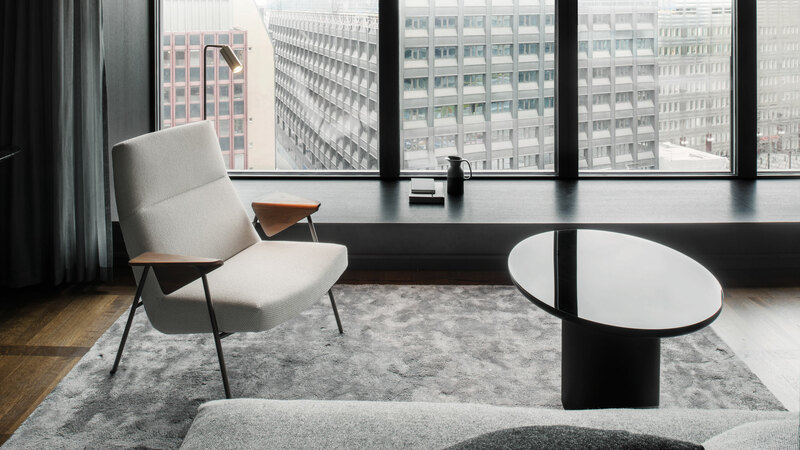 Moving away from the uncompromising and unforgiving aesthetic often associated with the brutalism – Universal’s brief was to create a desirable destination. 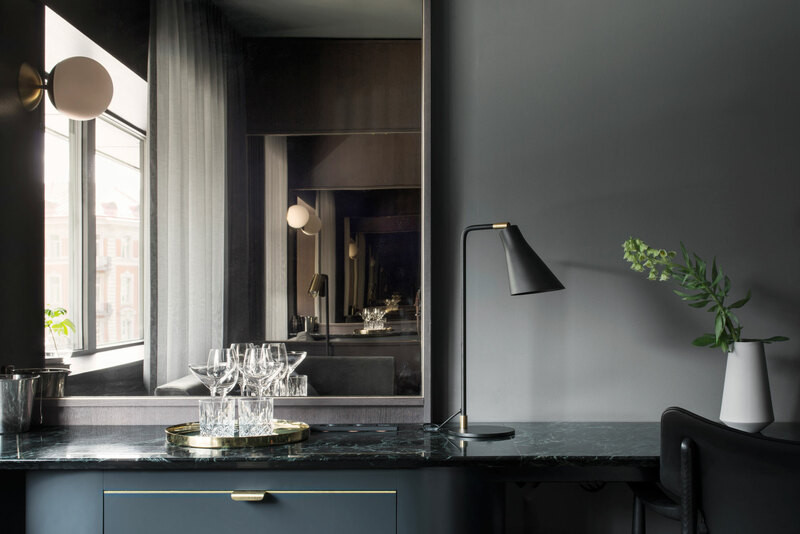 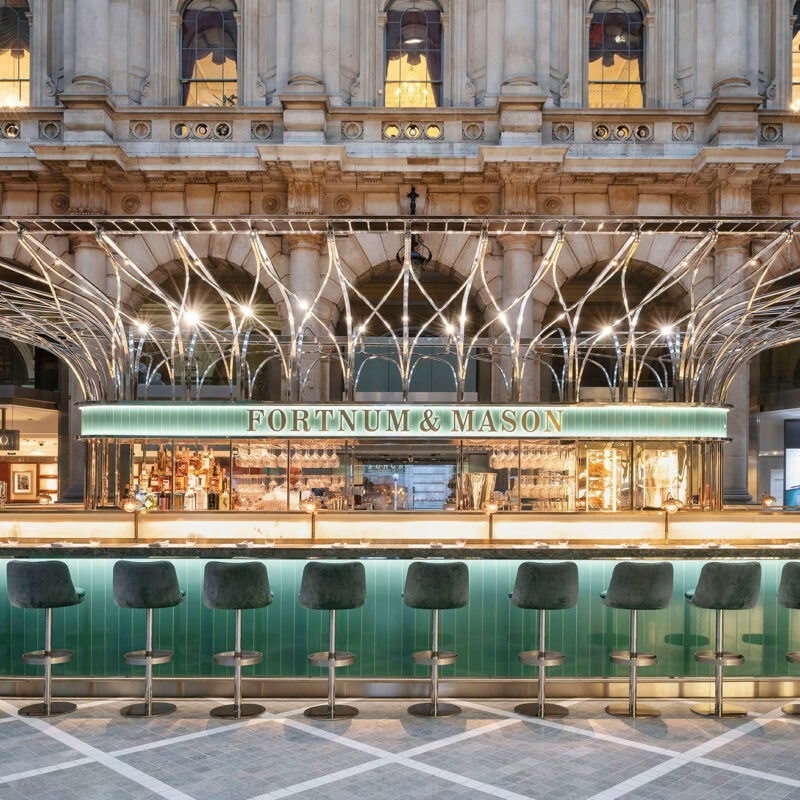 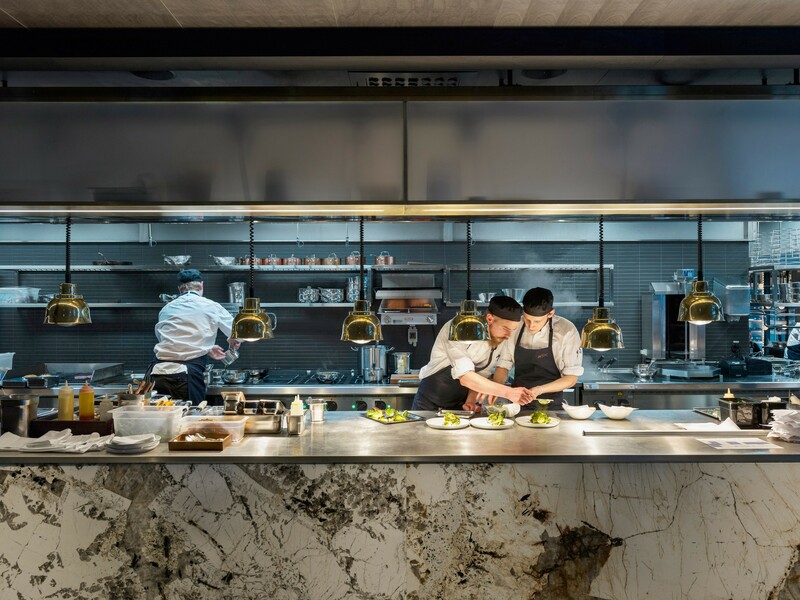 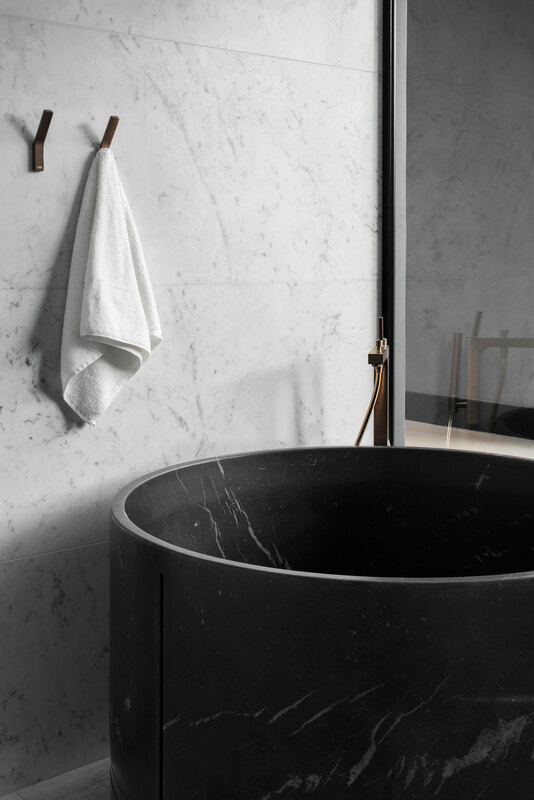 The design is focused on humanising the architecture, bringing a sense of desirability and luxury and turning it into a contemporary version of a metropolitan grand hotel. 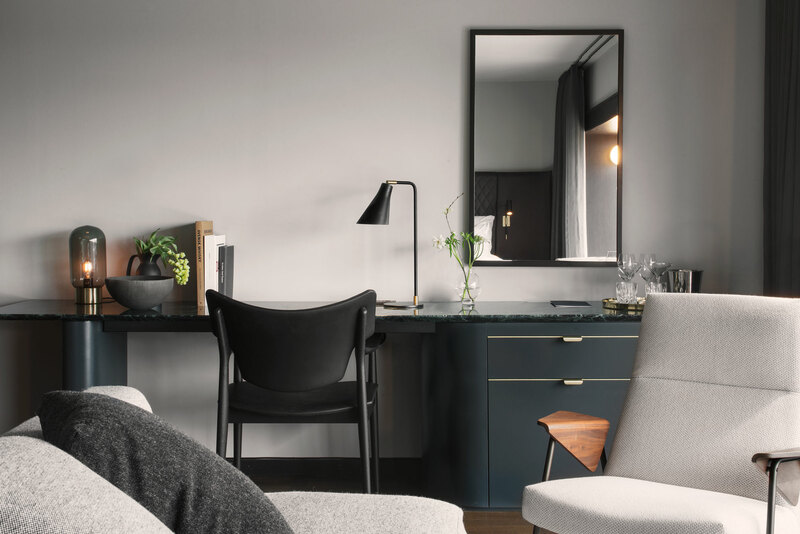 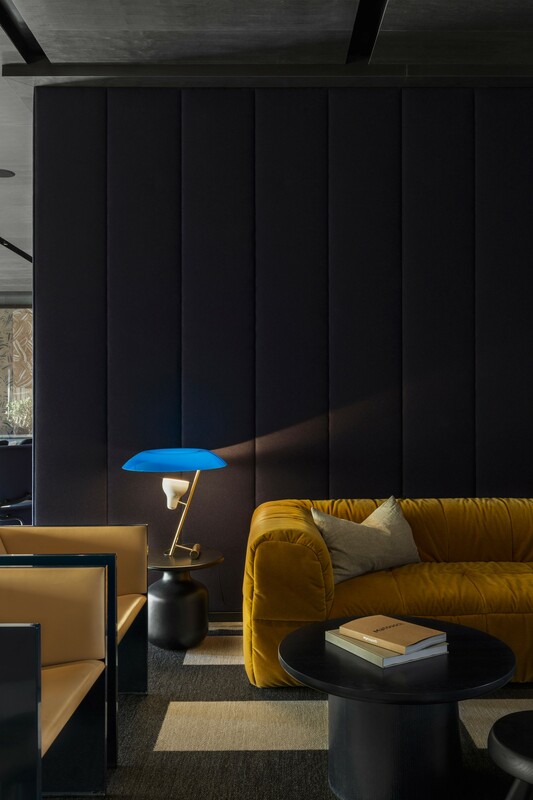 The selection of contemporary and classic furniture pieces are complemented by bespoke pieces from local makers and established Scandinavian designers Universal commissioned directly for the project. 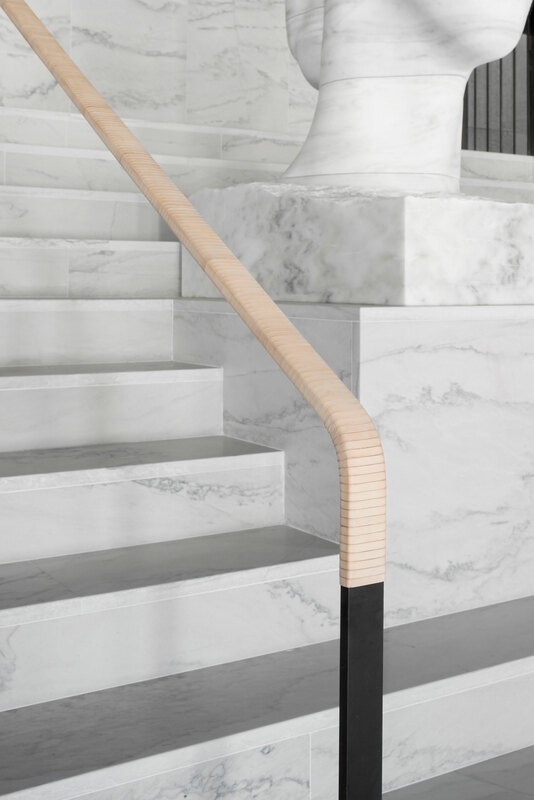 Custom lighting by Rubn feature in each room, local glassmaker Carina Seth Anderson was commissioned to create handmade glass pieces for the public areas, while a local saddle maker hand-wrapped the Swedish leather handrail for the white granite grand staircase in the lobby. 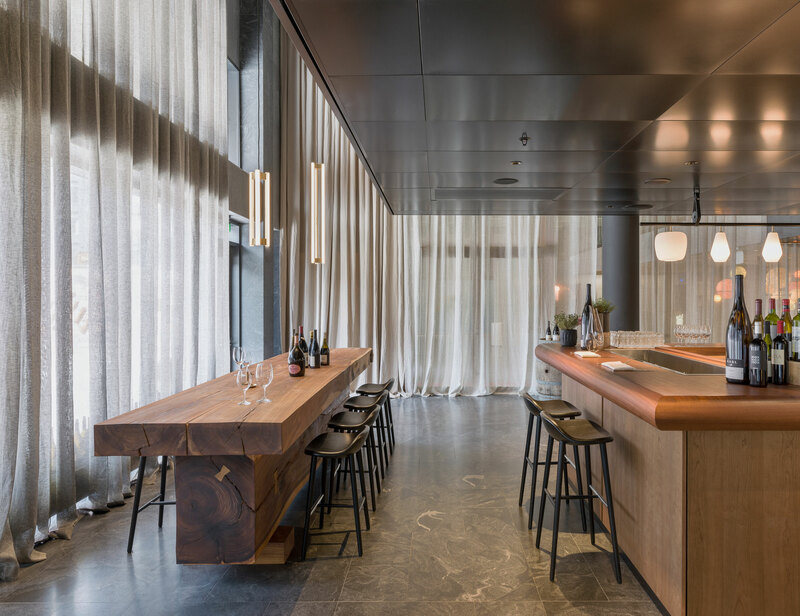 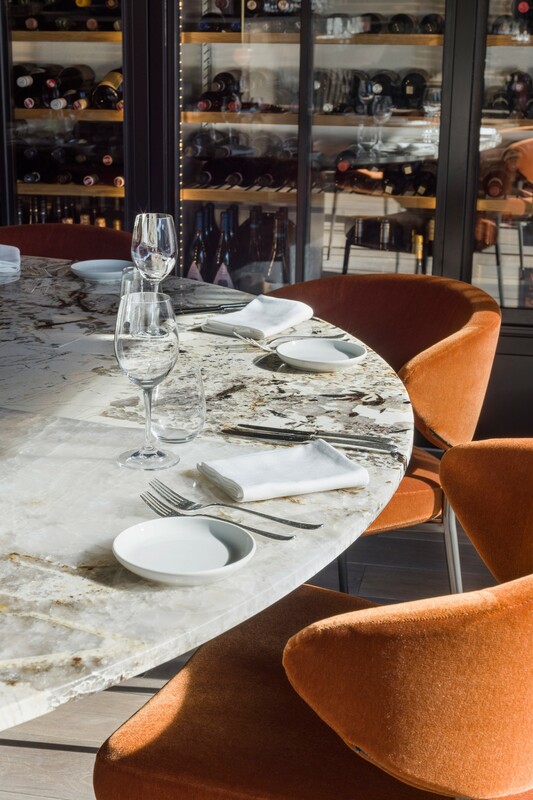 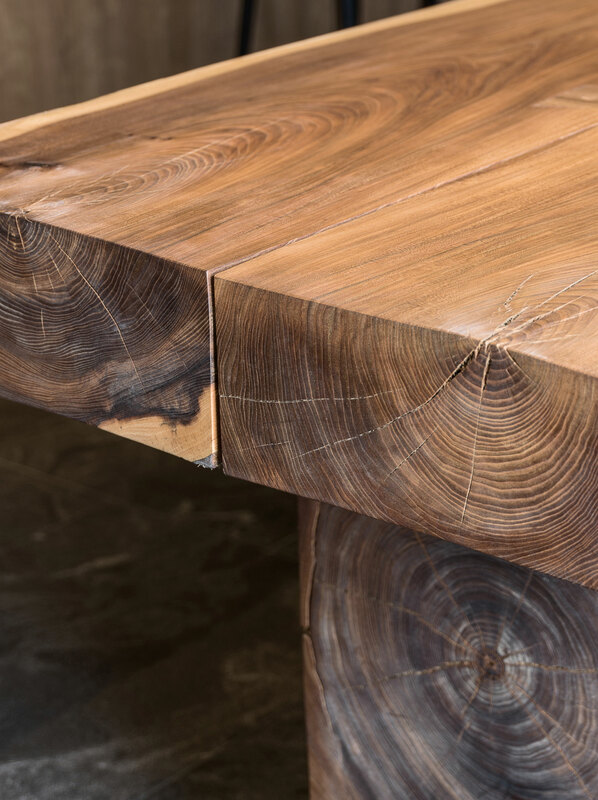 In the wine bar sits a communal table carved from a single Swedish Elm trunk by local artist Lies-Marie Hoffman. 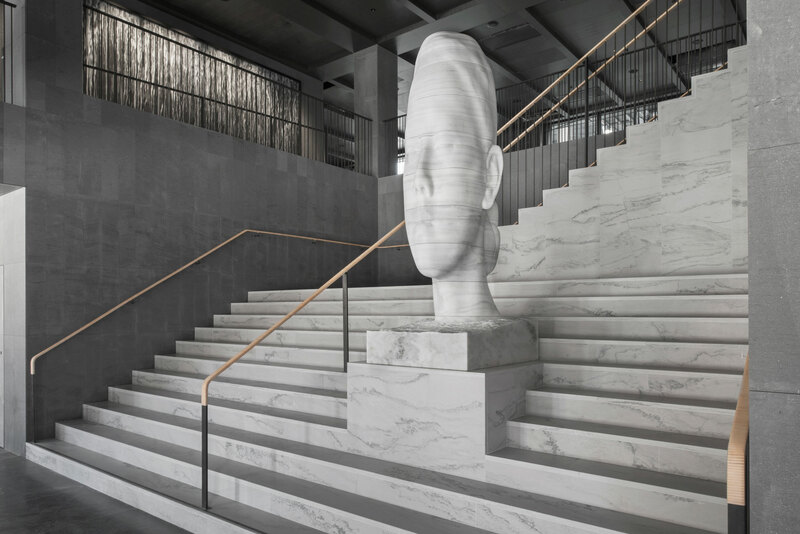 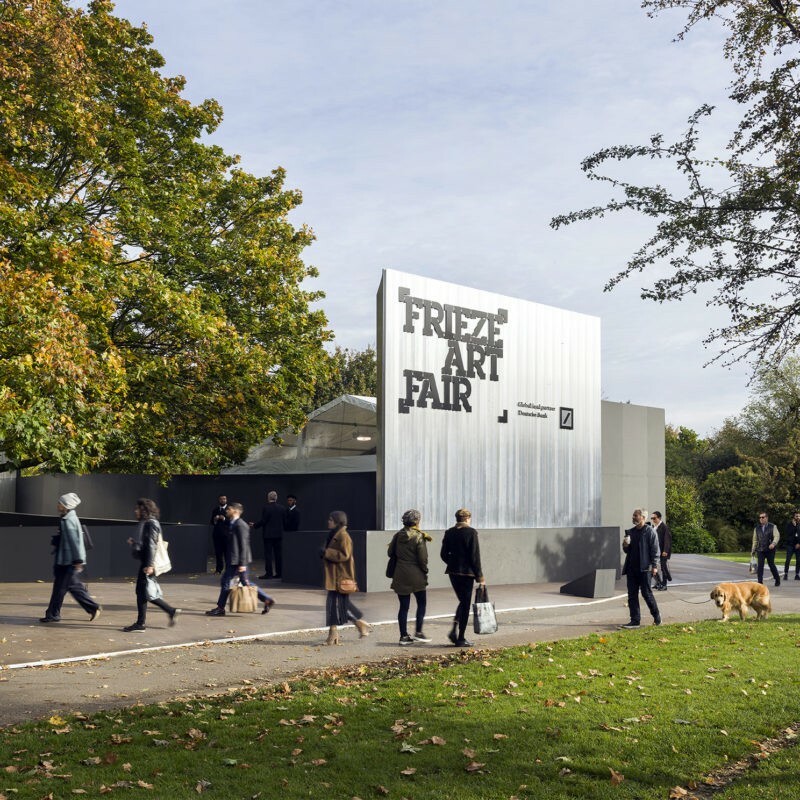 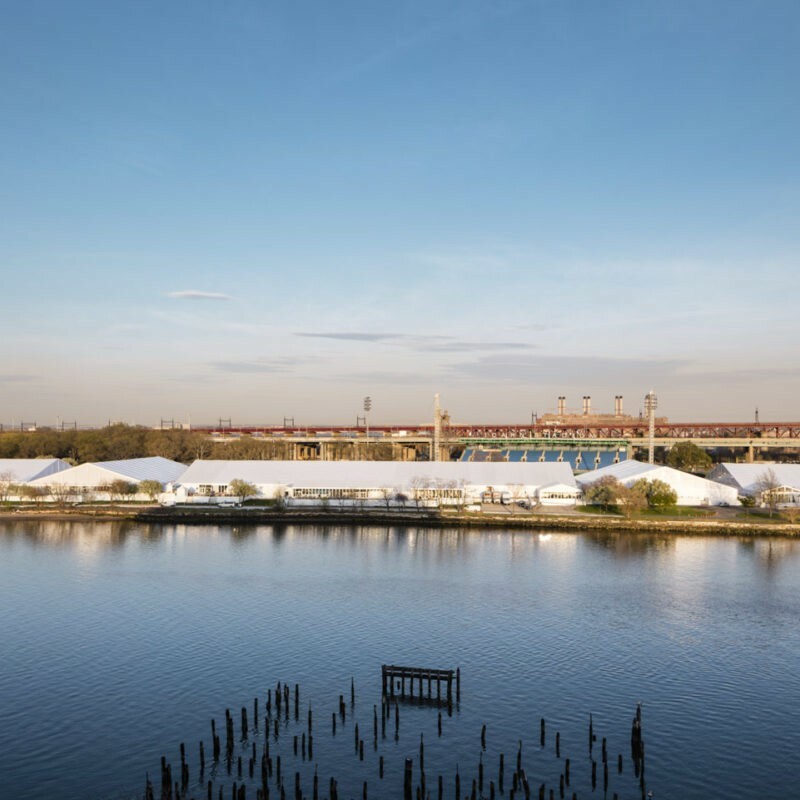 Original artwork including pieces by Jaume Plensa, Tacita Dean and Richard Long are displayed within the public spaces as well as individual artworks by Kristina Matousch in the guest rooms. 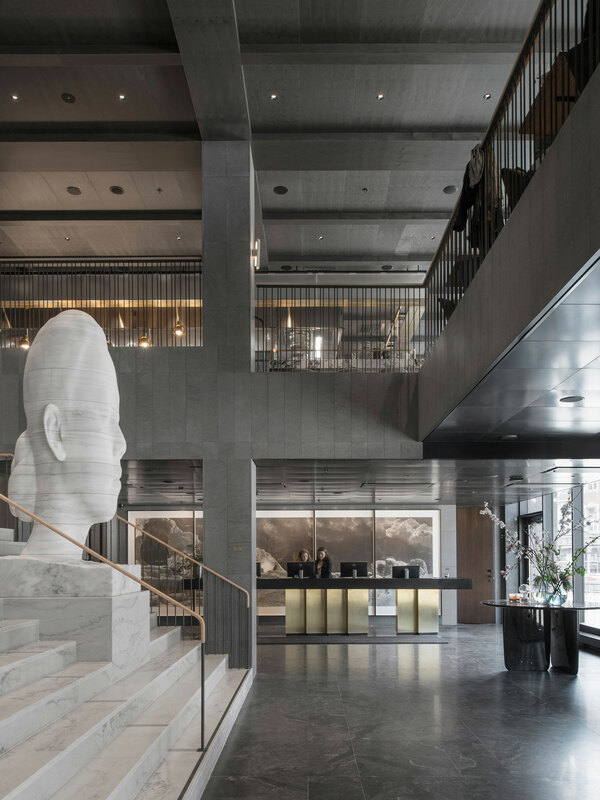 Works by Swedish photographer Dawid complete the hotel art collection.